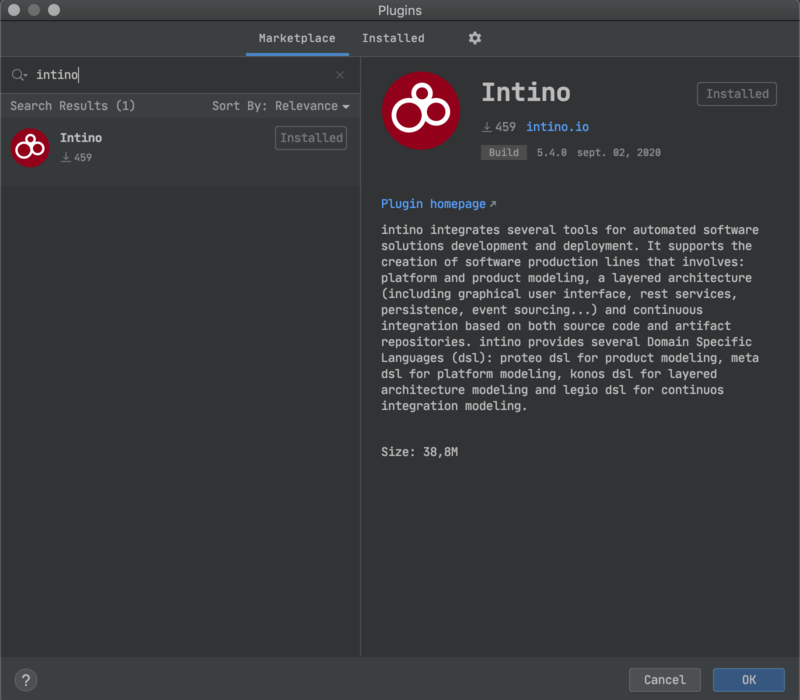 Intino is a development tool for the Java Virtual Machine oriented to develop families of applications with a full-featured IntelliJ editor plugin. 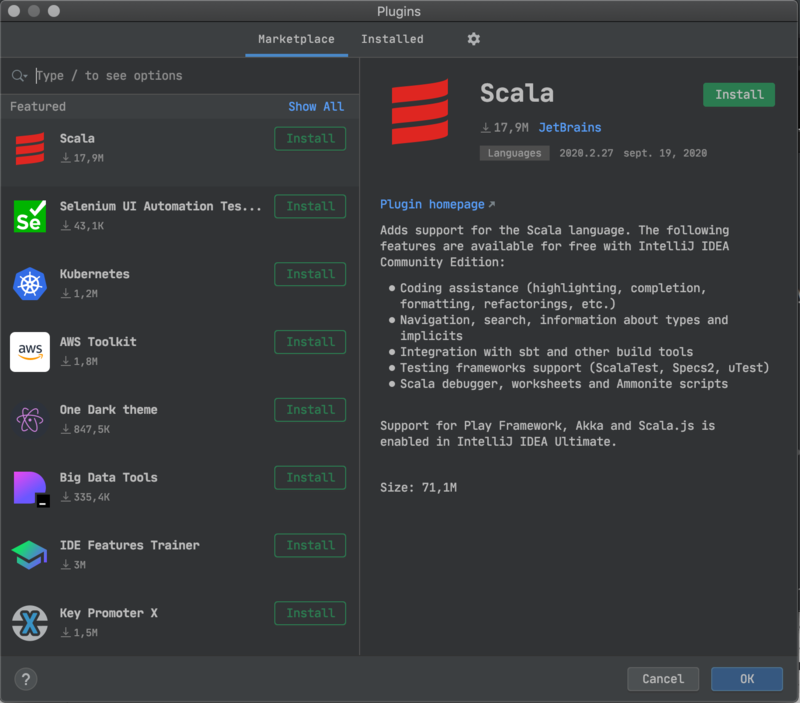 To get started with Intino, you should download and install the IntelliJ IDE. Check the system requirements and follow the installation instructions. To compile and execute your applications, you should also download and install the Java Development Toolkit 8 (JDK). Intino supports JDK 8 features, such as lambda expressions and method references. Intino stable releases are distributed via Jetbrain repositories. You can install and update the latest release from the IntelliJ UI. 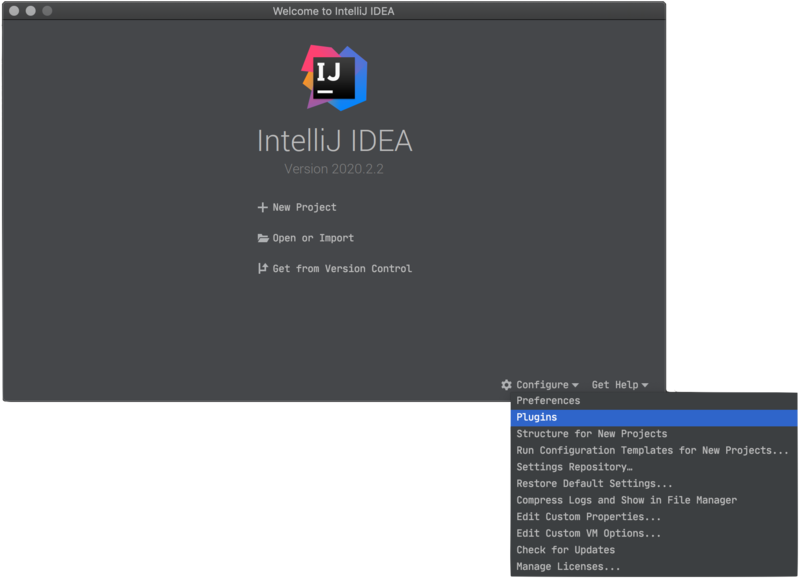 In the initial IntelliJ dialog, from “Configure” menu, select the “Plugins” option. In the corresponding dialog, search for intino and install it. After the installation, IntelliJ will restart. Nightly builds are based on the latest development code, which means they are not fully tested, probably unstable and not documented. Updating to these builds is suited for more experienced users and developers, although everyone is welcome to test them and provide feedback.